Rejoice, Pokefans! The Pokemon Company has announced that the Pokemon Bank and Transporter for the 3DS e-shop will arrive December 27th. 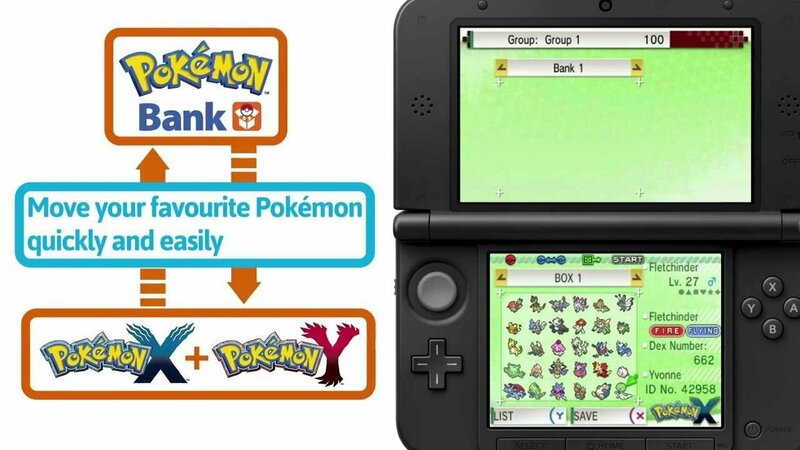 The bank will allow players to store their Pokemon from X and Y in an online cloud space, for $4.99 a year. Also included is the Poke Transporter, which allows you to transfer Pokemon from Pokemon Black, White, Black 2 and White 2. Some of these Pokemon, including Kyurem, will spark new events in Pokemon X and Y. But if you have titles from before that, you might wanna transfer them to one from the Black series. Pokemon X and Y came out October 12th and have sold over 4 million units. You can check out the CGM review here. To learn more about Pokemon Bank, check out the Pokemon website.